NEW YORK (Reuters) - A group of founders, executives and early employees of Tinder on Tuesday sued IAC/InterActiveCorp (IAC.O), claiming the parent company deliberately undervalued the dating app to avoid paying them billions of dollars and deprived some employees of stock options. The lawsuit filed in state Supreme Court in Manhattan stated that IAC and its subsidiary Match Group Inc (MTCH.O) deliberately prevented the plaintiffs from cashing in stock options they could exercise and sell to IAC. They are seeking damages of not less than $2 billion. "The defendants made contractual promises to recruit and retain the men and women who built Tinder," Orin Snyder, a lawyer for the plaintiffs, said in a statement. "The evidence is overwhelming that when it came time to pay the Tinder employees what they rightfully earned, the defendants lied, bullied, and violated their contractual duties, stealing billions of dollars," he said. IAC and Match Group said the allegations in the complaint "are meritless and we intend to vigorously defend against them." The plaintiffs, including Tinder founders Sean Rad, Justin Mateen and Jonathan Badeen and several executives and employees were given stock options in Tinder as part of their compensation in 2014, according to the lawsuit. Because Tinder is a private company, they were not able to exercise their options and then sell stock on the open market. Instead, they were allowed to exercise their options and sell only to IAC and Match on four specific dates, in 2017, 2018, 2020 and 2021, on which the stock options would be independently valued, according to the lawsuit. Match and IAC, which owns 80 percent of Tinder-owner Match, appointed Greg Blatt, Match's then chairman and chief executive, as interim CEO of Tinder in 2016. The plaintiffs said this allowed the two companies to "control the valuation of Tinder." The plaintiffs claimed that IAC and Match engaged in a "disinformation campaign" to obtain a "bogus" $3 billion valuation for the 2017 date. Some plaintiffs who had left the company were contractually forced to exercise their options using that valuation, according to the lawsuit, while other plaintiffs kept their options. 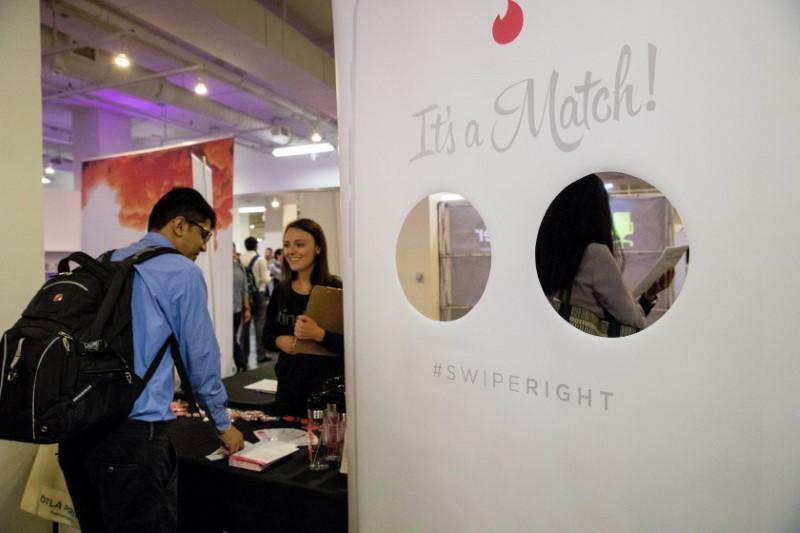 However, IAC and Match then merged Tinder into Match without the consent of Tinder's board of directors and canceled the future dates for exercising options, the lawsuit said. "Mr. Rad has a rich history of outlandish public statements, and this lawsuit contains just another series of them," IAC and Match Group said in a joint statement. IAC shares dipped 0.5 percent to $190.25.